Summer is the season of going to your friends houses for BBQs, pool parties & housewarming parties - with all these fun events you can't show up empty handed! Here's a few hostess gifts to bring along with you! Last year was all about the crazy pool floats, and this year is no different - having a friend that has a pool is like winning the lottery! Not only do you get to go over and enjoy it, but you can leave a little gift that keeps on giving in the form of a pool float! I'm all about donut pool floats! Candles are always a good idea - but why not summer-fy (not a word but we'll just go with it) the candles and have them be super fun like a watermelon, flamingo or even ice cream shaped ones! You also can't go wrong with a really cute tumbler to sip infused water out of - or even pour your favorite spiked iced tea! By one for you and your friend! I like to bring gifts that they wouldn't normally get for themselves like a great coffee table book - I have three on my table now and can't seem to find the time to read them - ahhh! 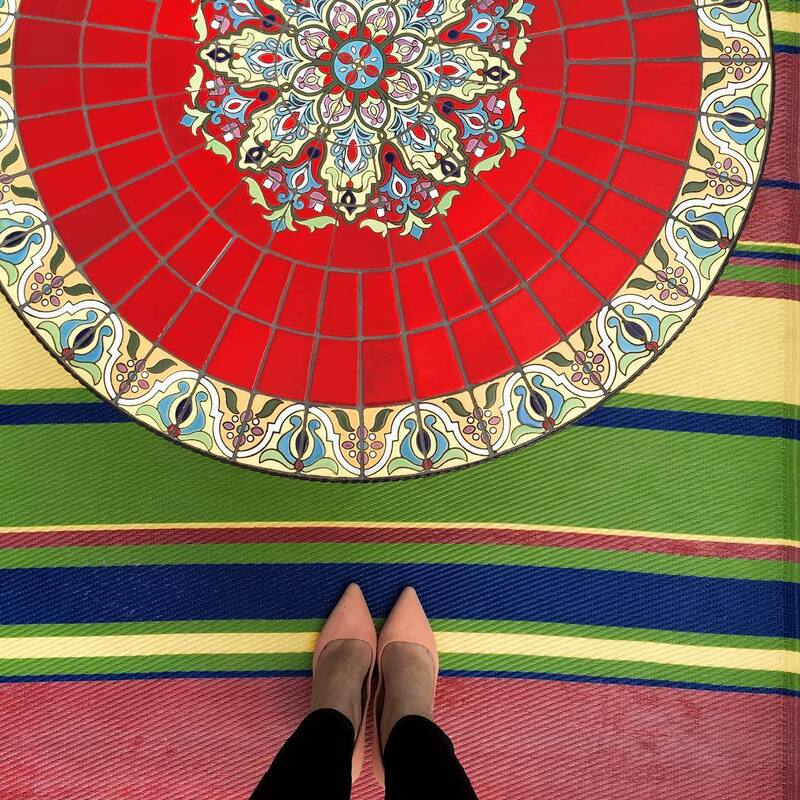 Who doesn't love pretty and festive coasters? Since Kate Spade is pretty much the queen of being a hostess - I think these glitter coasters might just be the best thing ever! A nice bottle of rosé as a "thank you" for the invite will always go over well - gift it in a cute bag-all tote. If you have a friend's that are recently married or even a girlfriend who loves all things monogrammed, these stirrers are so fun and something they'll have forever because it's your name! What's your favorite gift to give thanks to the host? Love this post! Everything is so cute! Those coffee table books are beautiful and I love the fun summer time candles! I love the idea of a pool float if they have a pool! My go-to is usually always alcohol. Can't go wrong with that! I am soooo loving the unique pool floats this year, oh that pineapple...CUTE. I collected cool looking candles who I was little, I had one that looked like a bee hive and smelled like honey and a Dr. Pepper little that smelled like Dr. Pepper, glad to see they still make cool candles and of course I love me some thank you notes....darling!! I want one of those pool floats so badly!!!! It's just the whole storage thing that is tough. Super cute roundup B! This is such a great guide! I'm not good about giving hostess gifts but I really should be better about it! Hostess gift or not, I like these suggestions just for myself hehe. Those floats are amazing - a friend was just telling me about the pizza one this weekend. We usually just bring a bottle of win but these ideas are so much more fun! I would love to receive any of these. The candles, coffee table books, thank you cards are all perfect! What great picks, Biana! Hostess gifts are always so fun to buy. Love the monogrammed stirrers and the coffee table book is a great idea! Great picks! The pool floats are so fun and I love those cute wine bags! This post is so much fun--I would love to attend one of your parties! I'm totally a believer in cute coffee table books but I'm the same way--I feel like I never actually sit down and read them! These are all really good hostess gift ideas! We just put together customized sets of coasters for our last wedding shower party - everyone loved them! You can never go wrong with a pretty set of coasters. Those are the CUTEST thank you card!! I always opt for a candle or bottle of wine. I feel like people rarely splurge on a really nice candle for themselves so it's a great gift! These are all great gifts. I LOVE buying hostess gifts, so fun celebrating someone. Great ideas! I'm so bad about hostess gifts that I usually end up grabbing a bottle of wine on the way! So many good ideas! I love fun pool floats (there is a donut and a swan floating in my parents' pool at the moment). And that cup is so pretty! Love that. I love giving little hostess gifts! Candles, cute books and serving utensils are my go-to’s! I am loving the coasters the most! That's something we really need to invest in! We are always just putting down paper towels whenever we have cold drinks. These are all such cute gift ideas, girlie! I LOVE the floats, they're seriously so cute and a great way to dress up your pool and patio, too! 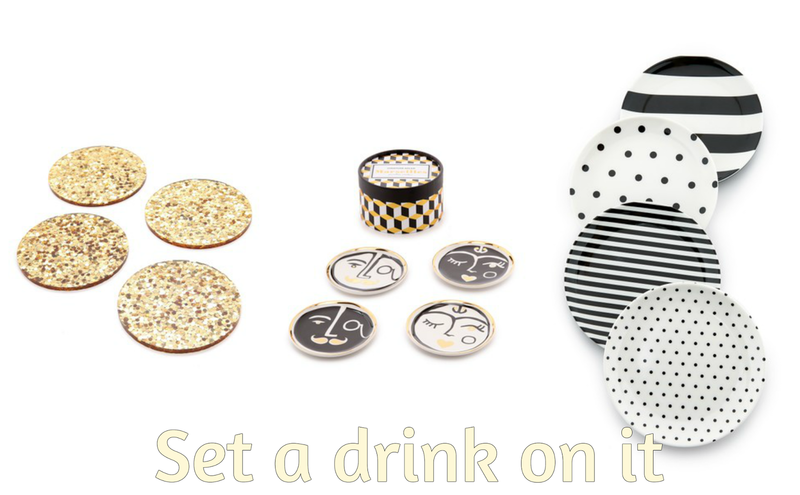 I also love the coasters you've shared, especially the glittery one; Kate Spade is indeed the queen of (super cute) hosting decor! Thanks so much for sharing, beauty, you have me even more excited for the start of the weekend with the mention of BBQs, haha! I hope you're having a wonderful week so far! These are such great ideas! LOVE. Honestly there is nothing I love more than Hostess gifts! Seriously! It is such a fun and sweet thing to do! I love it! Your picks are awesome I mean who doesn't want a seriously gorgeous coffee table book??? So fun! I always love receiving a candles, chic set of coasters and a coffee table book! Great round up! Awesome hostess gift ideas!! Those candles in the shapes are so fun and I would totally get another for myself ;)! A fun pool float is something you can't go wrong with if the host has a pool!! This is such an amazing roundup of unique products. Obsessing over those fun candles & the stationary sets! Love all of these ideas. Candles are my favorite, because really...who doesn't love candles??? 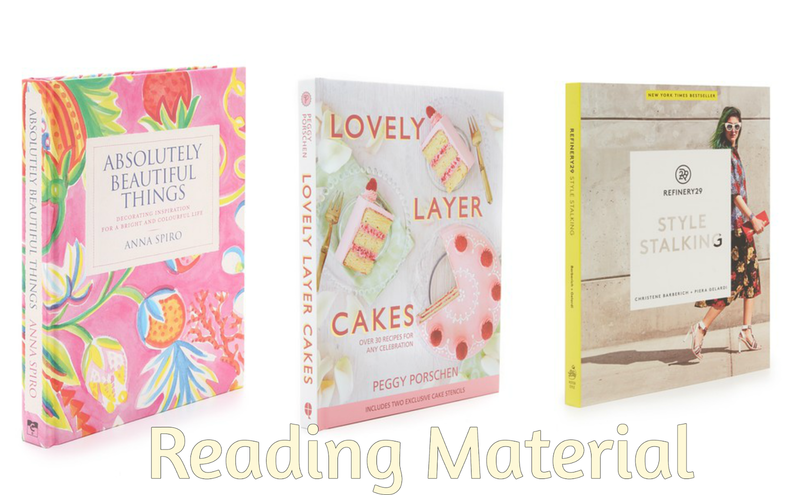 And cute coffee table books are always a win too! These are great ideas Biana. I need a housewarming gift and the person doesn't drink. Didn't really know what to get her but I do now. She will love one of those coffee table books. All of those floats are just too fun! Love the pizza! Also I need all of those candles! How adorable! These are all great ideas! Coffee table books are one of my favorite hostess gifts! These are all SUCH great ideas. The pool floats and candles are my favorite! I usually hit up Crate & Barrel for hostess gifts and find great appetizer plates, they're always fun! Every Summer they come out with the cutest pool floats! Love it! And the glitter coasters are a MUST have! Great roundup of unique gift ideas, Biana! I'm always loving to give pretty books out. All these cute floats makes me want to get another pool! Great ideas! Always nice to bring the hostess something nice that they might not pick up for themselves. The pool floats out right now are so fun. That Rachael Zoe book has been on my list for a while now! Oh those gold coasters are super cute! Those wine bottle totes are darling! Last winter Target's dollar spot had some great ones... they looked like sweaters! I loaded up! They are perfect for gifts. You found some seriously perfect hostess gifts! Aren't all the summer floats so fun?! OMG! everything is sooooo adorable! I want them all! These are great ideas! I usually stick to wine, but I actually have a hostess gift I need to get for a non drinker soon, this is perfect inspiration! 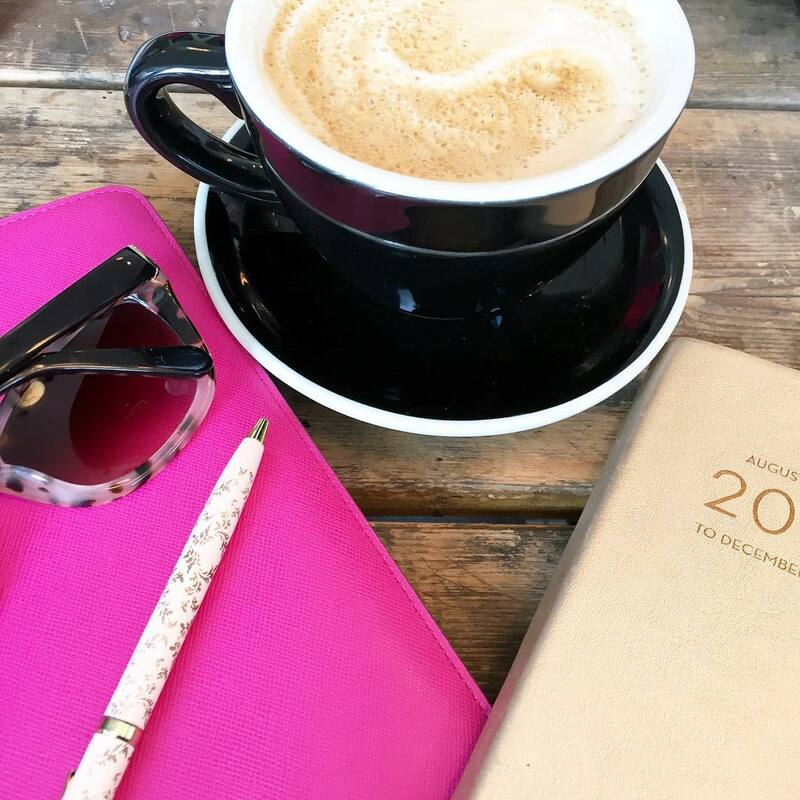 I love the idea of bringing a coffee table book as a hostess gift - something they can enjoy long after the party is over! All of these would make great hostess gifts for a party this summer! I have to admit that I want those glitter coasters for myself! They're just so cute! I have those glitter coasters and they are amazing! Love all of these picks, I wish I still lived with my parents with a pool so I could buy all the pool floats!! I love giving hostess gifts! The float is such a great idea-they're so popular this summer! 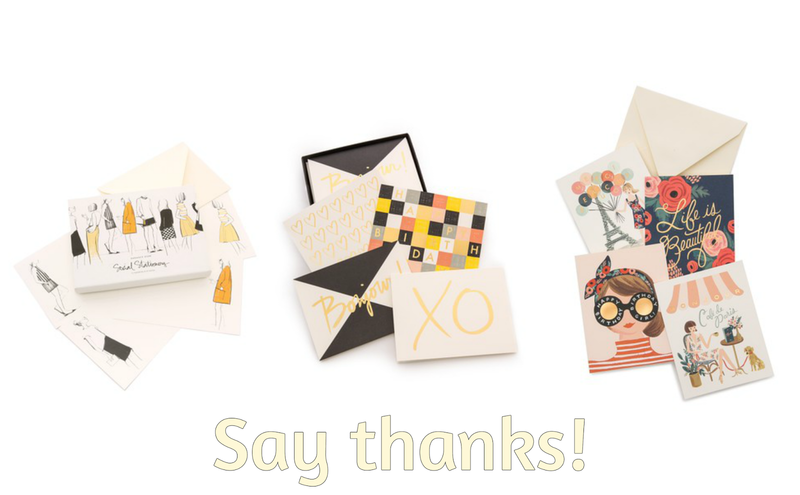 Also super obsessed with Rifle Paper Co. and that stationary! I can't even pick a favorite - I love them all! The floats are all too cute and those books would be perfect! The candles and coasters i like very much and will make a good set of gifts. Great picks. I love those coasters! Totally my thing!! These are so cute, love your collection! These are so cute! Love the floats! What a wonderful post, so many perfect pieces for a summer party! 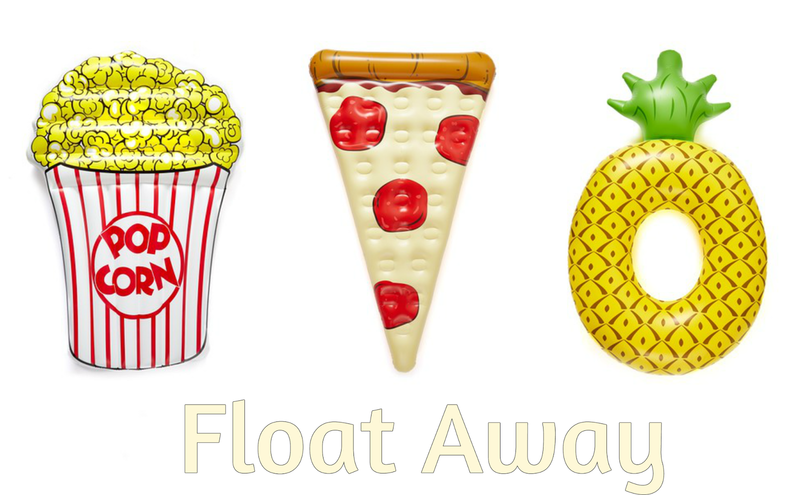 I love how many great pool floats there are right now, I am eyeing a pineapple float for our pool! Great gift ideas! Love the pool floats & coasters! Those floaties are awesome! We need the pizza one! I love that cute floral tumbler- and the awesome pool floats! Such a cute round up! I am loving those inflatables. I wish I had a pool to use them in! Hey, party or no party it's always nice getting and receiving unique little gifts! I love something interesting and your picks are spot on! Ummm yes to those glitter coasters!! How cute are they!!?? Love! Great post! Love all of these!! I need a fun pool float. And those candles are awesome. They are so unique and fun to give to your host or as a housewarming gift. I love all those fun floats and candles! Especially the flamingo! Great ideas! I want all of these for myself. Can we talk about HOW ADORABLE that pineapple candle is?? Great picks! !